For high-quality, reliable home and commercial HVAC, plumbing and mechanical installation, service and repair in Victoria, Nanaimo and beyond, trust the professionals at West Bay Mechanical. For over 40 years, we have been delivering exceptional customer service and consistent, quality workmanship to our residential and commercial customers.  Would you like someone from West Bay Mechanical to contact you? Simply complete the Victoria or Nanaimo eform on this page and someone from our team of experts will contact you as soon as possible. West Bay Mechanical is a great place to work. Everyone is treated like family and everyone is encouraged to be at the top of their field. Mechanical systems have changed dramatically over the last century. While our people must be competent with a state of the art computer control systems, they must also be able to handle the idiosyncrasies of servicing or converting turn of the century steam systems. Experience counts for a lot with us, but we know that new mechanical issues come up every day. West Bay Mechanical regularly invests in training our team, so we look for people who are ready to work and willing to keep on training and learning. Our goal at West Bay Mechanical is to have the best, most capable people delivering the highest quality mechanical services to our clients. Currently, we employ licensed Journeymen, Apprentices, highly experienced Project Managers, Estimators, Office Managers and skilled administrators in Victoria and Nanaimo, British Columbia. Email your résumé to us today!